Been Off Work or School? Our dedicated team are here to treat those minor ailments that occur as well as providing specialist management of long-term conditions and clinics covering a wide range of healthcare issues. The technology also means you can now do a lot of things from the comfort of your home such as order a repeat prescription or update your contact details. Did you know there are a range of services and trained health professional working closely with your GP that might be better suited to help you? The next time you make an appointment at Arlington Road you may be asked some questions about the reason for your appointment. Please don't be offended - it is simply so that we can make sure you see the person who is most suitable to help you. This may mean directing you to the right clinician within the Surgery team or another service outside of the Practice. Of course you do not have to share this information with receptionist but it would help us to help you and ensure you see the right person first. 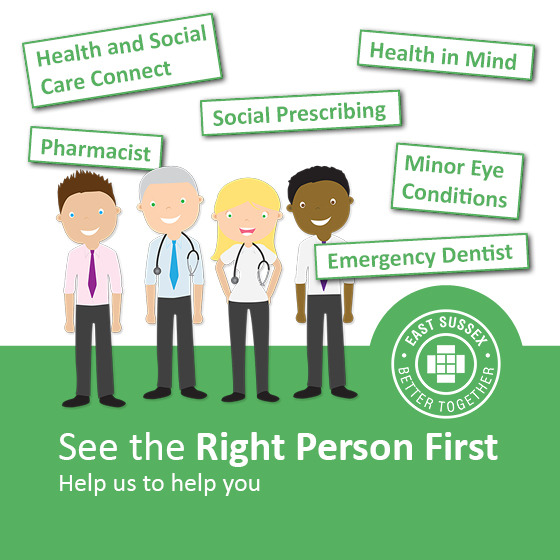 For more information about Right Person First and the alternative services available to you, please click here. We want to ensure that you can read and understand the information we provide or sent you. We want to know if your first language is not English and you need an interpreter. Please tell the receptionist if you need any help with communicating with the Practice and we will do our best to meet your needs. From December 2014, it is a contractual requirement that all GP Practices undertake the NHS Friends & Family Test. For more information about the Friends and Family Test and to view our latest results, please click here. To go straight to completing the survey, please click here. From the beginning of April 2015 we have been able to offer further Online Services in addition to those currently offered in the panel below. Prescription ordering that is linked directly to your patient record (we still continue to run our own website based repeat prescription ordering service). Online Summary Record Access (enabling you to view your medication, any known allergies and adverse reactions). If you have never been registered for Online Services, please click here for more information about how to register for these services, . If you are already registered for Patient Online Services, please click here to sign into your account. is not part of Patient Online Services at https://patient.emisaccess.co.uk.